This is a vector of Lacus and Haro, this vector is Norine07 for helping me out on Junkii, thanxs again, this took me a whole week to do, and then i started outlining her, and haro, i started to outline the hair clips and the ribbons to her hair then to the rest of her body and clothes, the hard part was her hair, lacus's hair is always a big problem to do, then i colored her in, and haro too, and this time her hair wasn't as bright as i thought it would be in my previous vector's of lacus, and then i added the background, i put raindrops, and i put a star behind haro making him glow hehehee, chloe-chan and saku-chan loved that part, hope you guys like this vector, ja! thehehe Haro the glowing God XDDDD all hail haro! Keep it up and hope to see more. 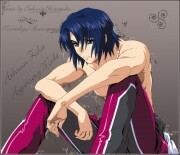 I wonder how PinkprincessLacus is going to react to this? As usual, you did a great job on the vector.. Everything looks well vector.. You did a great job on lacus..
kkkyyyyaaaaahh, i love it thanks again...! ^.^ faving it....! love the rainfrops and the glow at the back....! wow your so good..! your time and effort paid off..! ^.^ yay..! thanks again...! Hmm... She seems to have quite thick outlines.... did you resize the original scan before going to vector it? 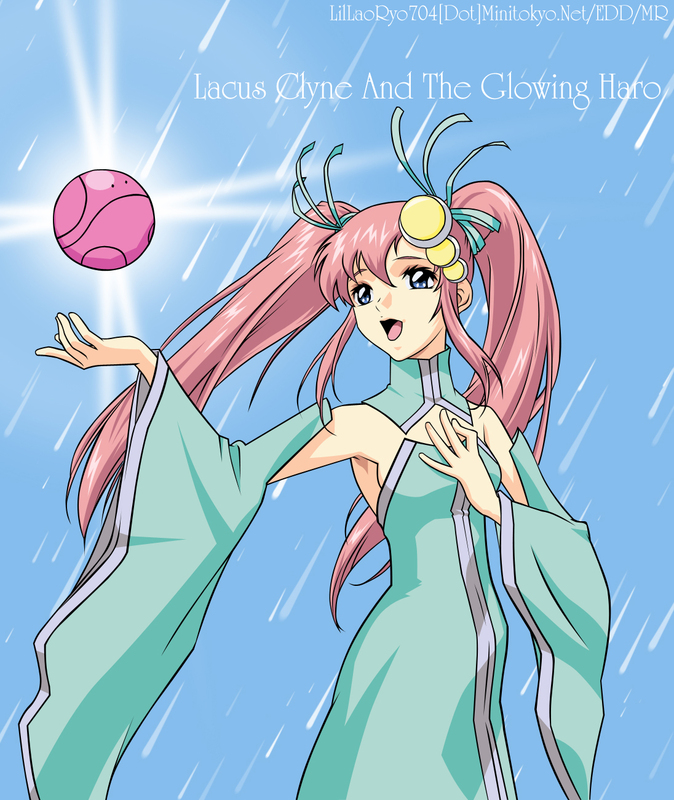 Love Lacus in this outfit!